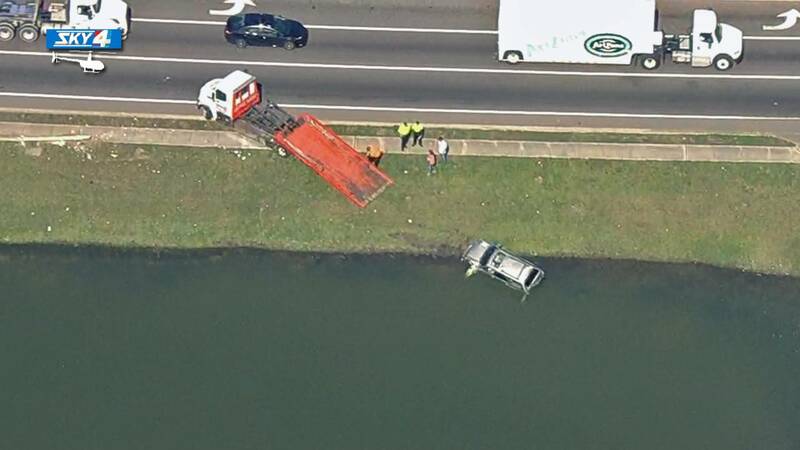 An SUV and its driver went into a pond Friday near the intersection of Pritchard Road and Old Kings Road, in the Biltmore area of Jacksonville. According to police, a person was ejected into a pond in the crash. Sky4 aerials showed several police cars, but no rescue personnel, so the crash may not have resulted in an injury.